A revolutionary new veterinary lift table combining mobility, multi-functional use, and practicality all within a small footprint space saving design. 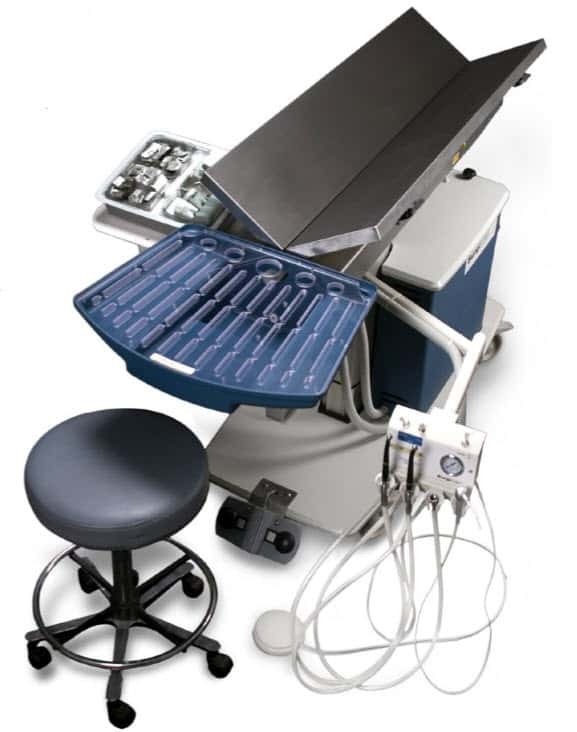 Designed by a veterinarian with over 20 years professional experience, the Theramax™ surgical / dental wet procedures station is the first of its kind that offers this comprehensive versatility. As a hybrid veterinary surgical / wet prep table, positioning animals for skull radiography, dental therapy, surgery, or routine ear flushings all become effortless. True mobility means no more dedicating precious clinic space around cumbersome “fix-mounted” surgical or dental equipment. The Theramax™ is a self-contained option-expandable surgical / dental solution that grows as your business needs do.